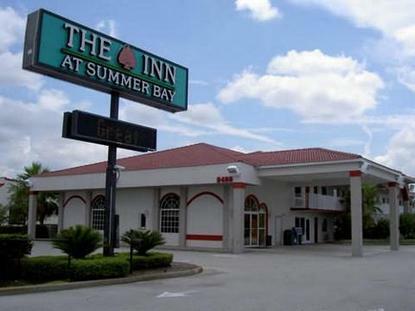 The Inn at Summer Bay is a 100 room economically priced Inn, which features clean and comfortable rooms with color TV, cable, coffeemaker, telephone with data port, hairdryers, mini-fridge and microwave. The property is located only six miles from Disney World and one mile east of Hwy 27 on Hwy 192 in Kissimmee, allowing for easy access and in the middle of Orlando's tourist district. The Inn at Summer Bay has a swimming pool and also offers guest use of the facilities of Summer Bay Resort.